According to Google, duplicate content is information that shows up in multiple locations on the web. This confuses the engine and can lead to the erratic ranking of websites. The search engine may fail to recognize the parent URL and instead display every related URL in the search term. This can result in lower search engine rankings and a significant reduction in sales. It isn’t uncommon to find numerous eCommerce sites selling similar products, each with its own page, often with overlapping duplicate content when it comes to describing the product specifications. Search engines consider this thin content that doesn’t provide any unique value. Duplicate content can also be created by a wide range of URL quirks. For example typing in www. and a company name will likely bring up the same results as simply typing in the company name and search engines consider this to be duplicate content. While Google may not actively penalize duplicate content, in many cases, the duplicated pages are ignored by the search engine. This means the pages are non-existent in SEO terms. Also, things as simple as creating a printer-friendly version of your site may be considered duplicate content. Even if duplicated content doesn’t incur any penalties, it may cause your eCommerce webpage to rank lower than it should. To fix this, it’s a good idea to write unique content for each product. If you find it difficult to write unique descriptions for numerous types of the same product, consider having the content writing outsourced. You may often see that even individual product descriptions trigger duplicate warnings. Often the same product with separate pages for different colors cause this. To avoid duplication in these cases, create a single product page with check boxes for different features of that product. This will help to make the webpage more SEO-friendly. If you have an eCommerce marketplace that sells hundreds, even thousands of products, you obviously don’t want that many product pages as it can slow the site down. However, organizing the content into category pages can only partially solve the problem. A feasible solution could be to label the page links with rel=next/rel=previous tags. With these tags, Search engines understand that each search result page is a part of a larger inventory and not a stand-alone page. As mentioned earlier, the search giant Google isn’t going to penalize you and not show your website for having duplicate web pages. However, your product pages will miss out on some real-time organic SEO growth which often results in less traffic and fewer sales. When your storefront is virtual you make your first impression with the customer in the initial few seconds that your page loads on the screen. Quick web page load times are crucial. To prevent an unprofessional appearance and to keep traffic on your site, your site should load in only a few seconds, even on the slowest connection. Images, because they are data-heavy files, are often to blame for slow loading. Consider these image optimization tips to speed up page loading and improve your search ranking while you’re at it. Search engine web crawlers look at all the text visible on your site, but also at invisible text such as image names and labels. Make sure you choose names that are descriptive and specific so they’ll reach the right audience in an image search. Accurate names also boost your search engine ranking overall, so this easy tweak is worth the time investment. ALT tags are the descriptors that show up when a browser fails to load an image. They also appear when you hover your mouse over an image. These tags should be present for all content-based images, such as product photos, but aren’t necessary for decorative images, like background elements. Make sure you use plain language (not just a string of keywords) to describe images and include model numbers in product photo ALT tags. Consumers like to see multiple shots of products before purchase to get a better sense of the product dimensions. Make sure that your ALT tags for each of these images are specific to the image, for example giving descriptors like “rear view” or “interior lining”. If you have extra large images (usually used for zoom features), set them up to open in a separate window or pop-up so they won’t slow down the load time on your main page. Image optimization for the web involves finding the right balance between quality and file size (and therefore load time). Plenty of graphic software programs include algorithms to optimize images for the web. If you can’t afford professional photo software, free applications perform the same function. 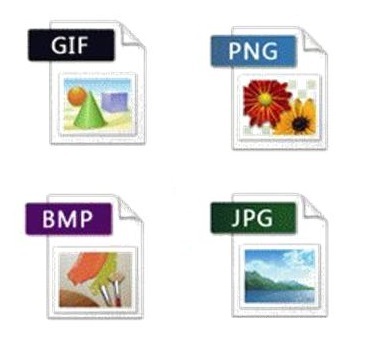 Image files come in many formats, but some are better for e-commerce applications than others. Here’s a rundown. Jpeg – Considered the best e-commerce format because it offers the best quality at the smallest size. PNG – This is the second best choice for product page images. The quality isn’t as good as Jpeg, but this won’t be noticeable with small images. GIF – This format generally produces files that are too large to load quickly and efficiently. It’s not recommended for e-commerce. Keep thumbnail images to a minimum, if possible. They slow down page loading like any other image, and too many can clutter the page design. 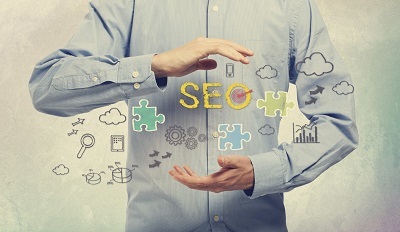 When you do use them, smart image optimization SEO requires you to use different ALT tags for each thumbnail and its equivalent larger version. Google Sitemap optimizes images and helps search engines categorize your images. Google Sitemap also has extensions that further optimize your images for better search rankings. There’s a SaaS for That! I am sure you all remember Apple’s trademark – There’s an App for That! 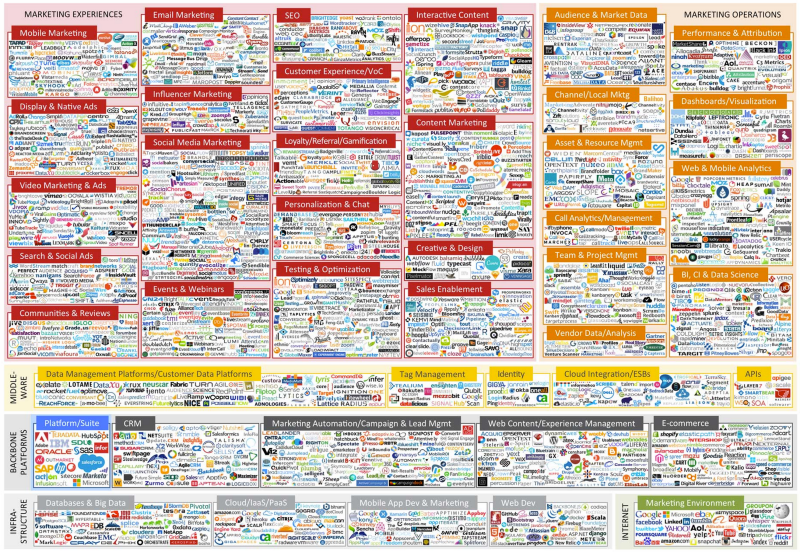 I had a similar feeling at MarTech when I was looking through all the software. There were possibly a dozen solutions for any problem you could think of. If you got a chance to read my earlier blog, I talk about how creating a deep and rich experience is the key to doing great things in any domain. When we begin there and bring our audience to center stage, to really understand what excites them, that’s half the battle won. In this blog, I’ll specifically talk about what it means to create a rich marketing experience to make any new product and/or solution great. Especially as the paradigms of marketing continue to evolve from traditional to digital, from cost to revenue and from linear to growth, it is kind important to pause and take stalk of how the marketing engine can be tuned to meet new goals. We know Segmenting, Targeting and Positioning (a.k.a the STP analysis) from Kotler days and from the big fat books on Principles of Marketing. This means blanket messaging does not work. Messaging has to be worked in to suit the audience mindset. And even before that, it is important to run a complete segmentation study on who needs to be targeted. This is where marketers can leverage data science and advance data mining, analytics and machine learning techniques to segment by psychographics, user behavior and several other attributes. Once the segmentation study is complete, marketers can decide which of those segments they’d like to target. It’s ok not to be everything to everyone. Picking and choosing the right segments who have the most exposed nerves and showing them the value of the solution goes a long way. Once the segments are picked, the outreach will begin. We’ve heard this over and over. Content is king and content is queen. It is an art form in itself and no marketing can survive without a good content strategy. But when you’re building the content map, it is very essential to first understand where your prospect is in the funnel. 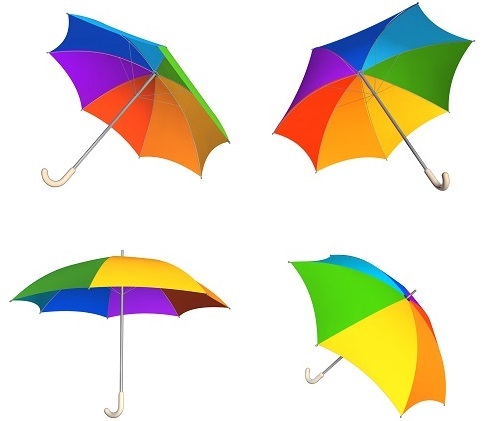 You would need them to connect with your product at whichever stage they are – top, middle or bottom. At the top, it’s still the first touch point and prospects are getting acquainted with your brand. Here’s where thought leadership blogs, visual content like infographics and short videos make an impact. The middle of the funnel audience will usually be more engaged and intrigued by what you have to offer. So, the content to keep them going has to be somewhat deeper. Customer success stories specific to their domain, a best practices guide that could help them accelerate their business with some handy tips, or a discovery session/audit based on whether you are a product or a solution would usually go a long way. Marketing automation software folks such as HubSpot, Marketo and Pardot do a great job in helping to demarcate your audience with the right lead scores. All of the funnel marketing also falls nicely in place when the user experience and design elements align. This means, the user is able to easily look through for information, navigate to deeper pages and is able request for information without too much clicking around. And of course, a clean, airy and spacious websites and landing pages just keep that vibe alive! UI/UX and graphics is it’s own discipline and they are several good readings online to gather information. Remember, Relationship is the Key! All data science, strategy and principles look good but like any other science, good marketing is based on good relationships. As a prospect comes through the funnel from the web or a trade show, the real success is when he/she has engaged and has connected with you at some level and believes that your product or solution can help in some way to alleviate his unaddressed pain. And all the elements – content, design and UI/UX play a very important role in this journey to connect. Like stars, all these have to align to created that connected prospect experience. I will be at MarTech in San Francisco tomorrow to see how different enterprise software companies are progressing through this journey – to create that unbeatable experience. If you are around, I’d love to catch up and tell you what we’ve been up to here. We’re solving the biggest piece of this puzzle by providing you an enterprise platform to create and enrich any type of content. Email me if you’d like to grab a coffee! It was my first SMX last week and pretty good insights around topics related to search overall. Search is evolving very rapidly with digital, and as marketers, all of us need to keep pace. Digital strategy is an inevitable part of your overall marketing strategy. But Digital Transformation has several moving parts and several tonalities including enriched content, it’s medium and the immediate ecosystem around this. We might have several fashionable marketing trends and definitions, software and solutions. But, I always like to understand concepts from first principles. And when I do that, it all begins with one thing – quality content. Content that appeals and is impactful converts better than any other. There’s a lot of sophistication around software and trends that help to drive this impact, but understanding the target audience and focusing on getting them to listen is never going to be out of fashion. ‘Five-star’ content is always going to be at the top of the digital marketing hierarchy. Then, we can work our way down on to disseminate and proliferate it. The complexion of content will continue to see a shift with visual content now taking the lead. Whether it’s infographics or video marketing, short snippets of these resonate a lot better. There’s a whole religion and cult around creating these BTW and the good news is there are lots of resources to tap into. The presentation I would like to allude to here is around video marketing hacks and how to dominate social media with killer ads. Mobile is here and now, you’ve heard that before? Now, we’re transcending to wearable and other connected devices like cars, TVs and homes. So, traditional advertising has gone through a metamorphosis of sorts from traditional desktop to mobile and watch. The techniques and algorithms continue to go through a rapid change. There was an interesting presentation on getting ‘creative’ with ad copy. I presented a solution spotlight to showcase how our enterprise content platform – CrewMachine can help with that. Automate parts of the content flow, integrate the new age lingo, bring in visual presentation of the ad, build the right links to go viral, measure the impact to quickly adjust the strategy, modularize the content module to scale across multiple types of ads and of course plug in all your workforce to ensure predictability. But there were several other presentations which talked about this in a different way. Marketers working on large scale PPC ads should definitely take a look at this. At SMX, I hung out at the Twitter booth to understand their mobile ad strategy, and how they’re creating a monetization strategy with over a billon + users. I’ve used Twitter ads to drive conversion and although the principles are the same, there’s a lot more specific targeting and newness with channels like Twitter, Facebook and others. With connect in the NOW, inspire action and convert everywhere as their way to work the booth, Twitter made a big impact and sent a huge message. Retargeting is critical, context has to be capitalized, powerful call to actions to download and in-app ads and message and tweets designed for phones through mobile optimization strategies are crucial. In this context, identity marketing and content re-marketing as techniques become very apt and there were quite a few sessions covering this. Looking the power of social and its influence, it is important for search to tag team and leverage it’s strengths. Take a peak at this session –Search and Social, Better Together for more insight on key link building, driving engagement, writing good copy with good keywords and maintaining a content calendar. Here’s another good presentation about developing the right backlinks to fuel local business growth. A lot of good stuff happening on the Google campus. Some stuff that really caught attention are the Google Schemas which can be built into the Applications to provide reviews from the Gmail interface. Users can now add new actions to their emails, be able to highlight information in important emails. All emails with markups now appear on Google search results when a user is looking for tickets, any flights or events. Google Now presents the right cards to the users at the right time. And of course the advancements with Google voice search now across native and web applications. This continues to revolutionize search as Google continues to innovate.